Vaisala HMD60 Relative Humidity and Temperature transmitters offer an economical solution for general purpose RH&T measurement in HVAC and building automation applications. 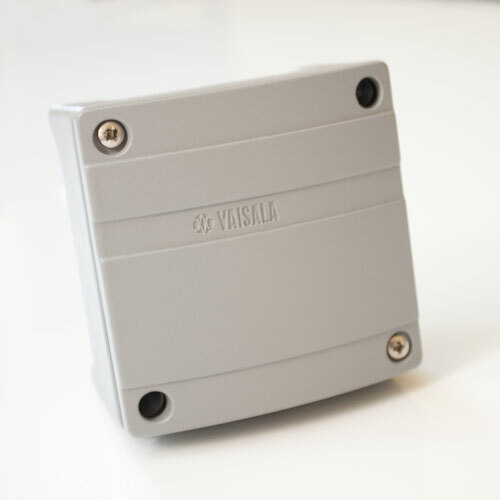 The Vaisala HMD60 incorporates HUMICAP technology for a reliable, stable and accurate indication of relative humidity and temperature in duct systems designed for building ventilation. 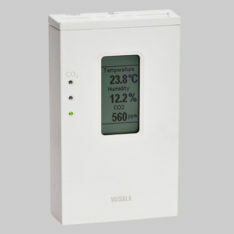 Vaisala HMD60 Relative Humidity and Temperature transmitters offer an economical solution for general purpose RH&T measurement in HVAC and building automation applications. 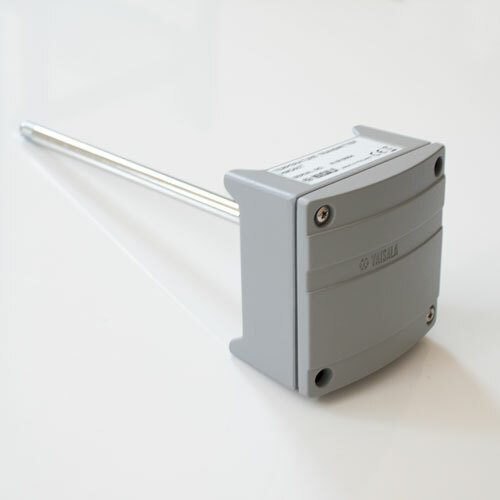 The Vaisala HMD60 incorporates HUMICAP technology for a reliable, stable and accurate indication of relative humidity and temperature in duct systems designed for building ventilation. 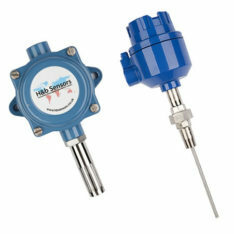 Vaisala HMD60 transmitters are suitable for many industrial humidity monitoring applications. 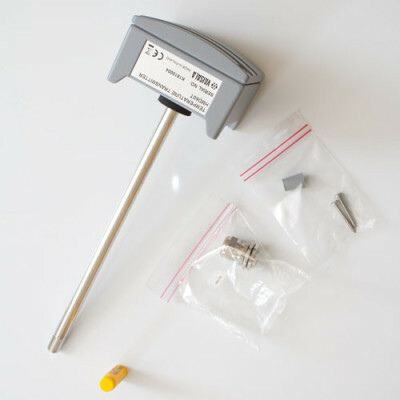 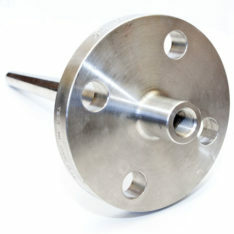 The incorporated HUMICAP sensor is also offered in many more expensive Vaisala RH&T transmitters for its resistance to chemical attack and established stability. 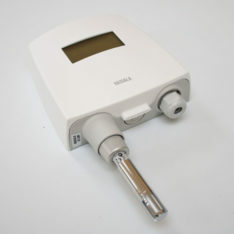 A unique feature of the Vaisala HMD60 duct mount transmitter is the ability to remove the electronics without removing the unit from the duct itself. 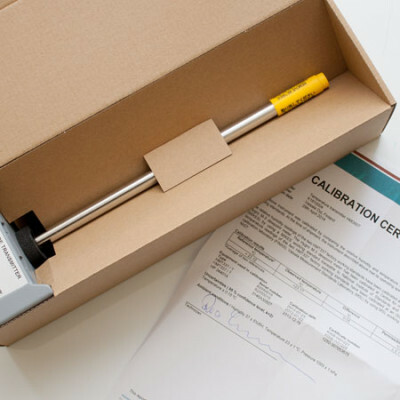 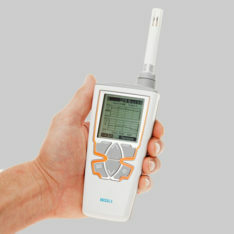 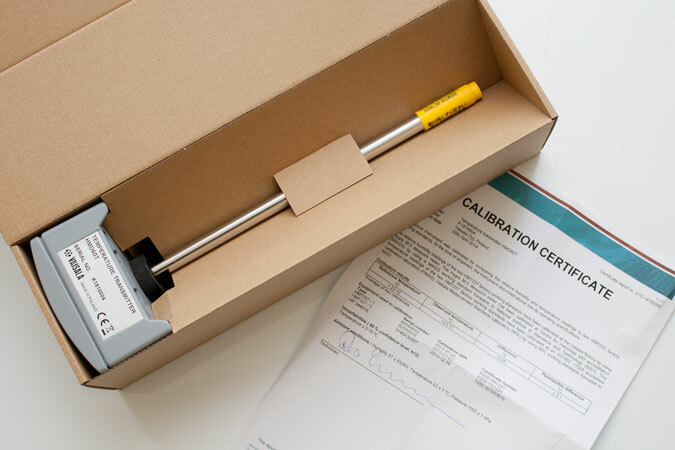 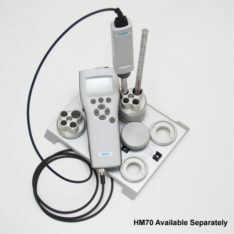 Additionally calibration can be checked onsite with a Vaisala HM70 portable RH&T sensor. 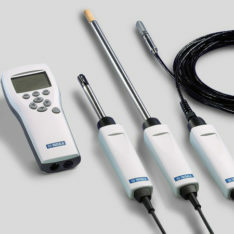 Adjustment is simply carried out via a potentiometer until reading matches that of the portable reference sensor.